In the U.S., St. Augustine grass is found from the Carolinas to Florida and westward along the Gulf Coast to Texas and in Southern and Central California. Because of its lack of winter hardiness, St. Augustine grass is restricted to areas with mild winter temperatures. Like Bermuda grass, St. Augustine thrives in high temperatures, but the growth of St. Augustine is better than that of Bermuda grass in cool, coastal climates. St. Augustine grass is native to the Gulf of Mexico region, the West Indies and Western Africa. For as long as there have been records, St. Augustine grass has been reported as a seashore pioneer along the Atlantic coasts of Africa and the Americas. Prior to 1800, the species was reported in Uruguay, Brazil, Nigeria, Sierra Leone, the West Indies, Bermuda and South Carolina. In the Pacific, records are not nearly as old, but it was reported in Kauai prior to 1800. By 1840, St. Augustine grass had also been collected from Australia and New Zealand. Several variants or strains of St. Augustine grass have been reported. The normal strain in early records has a white stigma color and was found to be a fertile diploid with 18 chromosomes. A sterile triploid variant with purple-colored stigmas was first collected around the Cape of Good Hope in 1791. By 1900 it was being used for lawns in Natal and has since been planted in Rhodesia, the Congo, Senegal, Australia and Southern California. In Florida it has been planted for lawns since the 1890’s. 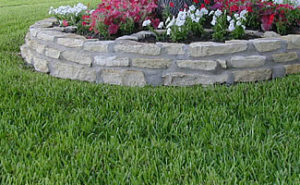 Types of St. Augustine Sod are but not limited to Bitter Blue, Floratam, Palmetto, and Seville.